Backups: Ensure backups are working and the off-site backup repository is accessible. Critical Number Re-routing: numbers that are deemed as critical can be re-routed during a potential system outage. Graceful Shutdowns: If your organization has determined that your facilities will be closed and callers will either be re-routed or encounter a ring-no-answer or fast busy, then it is better to shut down your systems gracefully and even unplug them as opposed to letting them simply shut down on their own when the power fails and the UPSs can no longer sustain service. Restoring Power: As power companies work to restore power in the disaster area, the initial restoration may not be stable. Surges and brown-outs are very common during this phase of recovery. A server that is plugged in or was left plugged in may automatically begin a power up process prematurely and experience a surge or sag in current if and when the power company discovers additional damage to their distribution system. System Restoration: Know the system restore procedures of your Communication Infrastructure. Keep the restore procedure and system documentation readily accessible. Critical Contacts: Know who to call. 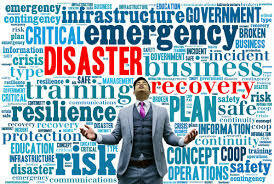 Your vendors and business partners should be ready to help your organization recover when disaster strikes. Know their contact info and call them early. In regional disasters, there may be hundreds of other companies trying to recover as well. The sooner you call, the sooner your organization can be scheduled.